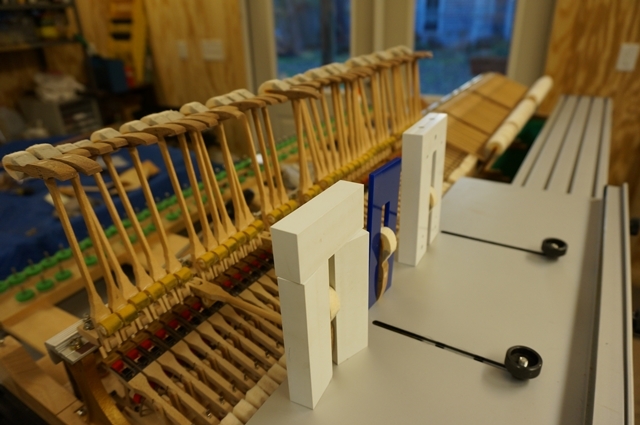 A piano’s action is comprised of the assemblies that are responsible for the sound the piano makes. For the action to perform at it’s best, everything needs to be set-up with the proper geometry and the various contact/release points of the mechanism precisely set. (1) The main or front action is comprised of the keys, frame and the top action which has the hammer and wippen assemblies. The entire front action is easily removable for servicing. (2) The back action is the damper system which is responsible for muting or sustaining the string and is actuated by either the end of the key or an undertray that lifts all the dampers at once when properly adjusted. 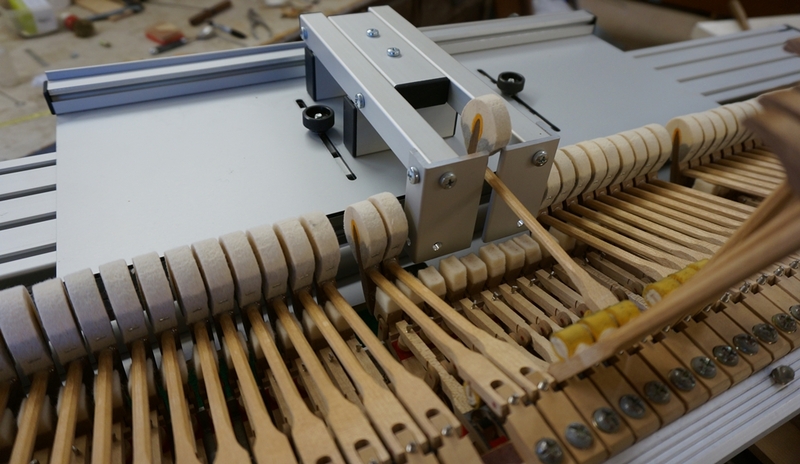 The back action is fixed in the piano and any servicing has to be done in the piano. One major obstacle to performing these procedures is that the final adjustments are done with the action in the piano. 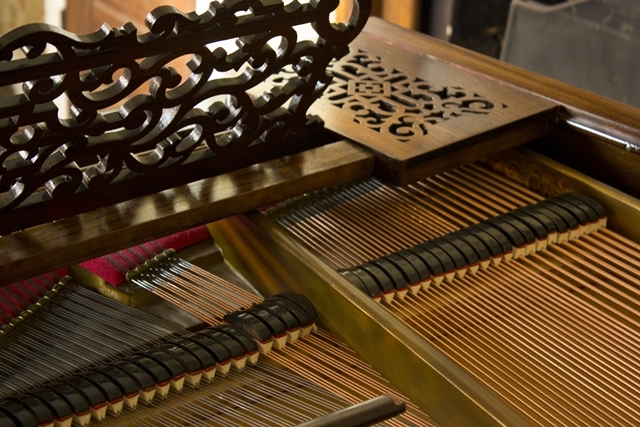 The reason for this is that most grands, Steinway especially, have keybeds that can be curved in both directions. 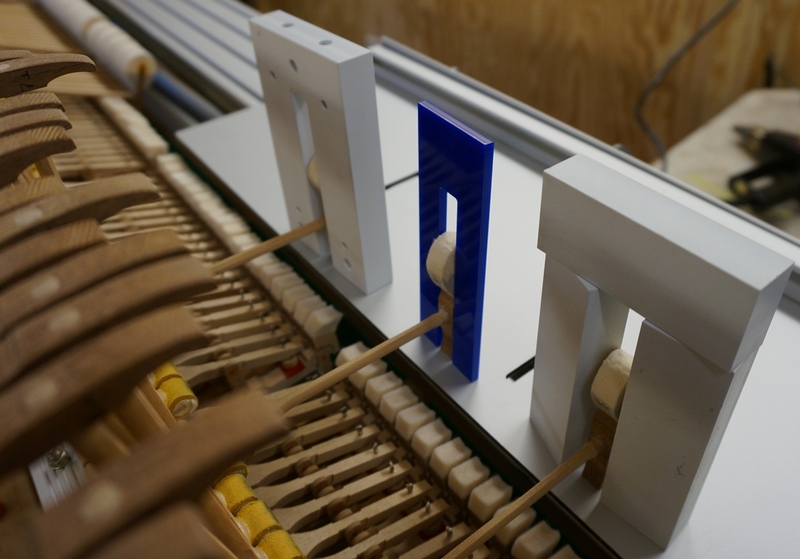 It can be ergonomically challenging to regulate the action in the piano or on a basic workbench. Most of the necessary adjustments are interdependent on each other requiring going over the adjustments many times until the desired performance is achieved. One day a while back, I saw a picture of this device in a service manual and immediately saw the value of it…and then wondered why I did not have one. It completely solves the problem of the curved keybed issue resulting in the operator having access to all the geometric specifications that are necessary for the action to operate at peak efficiency. 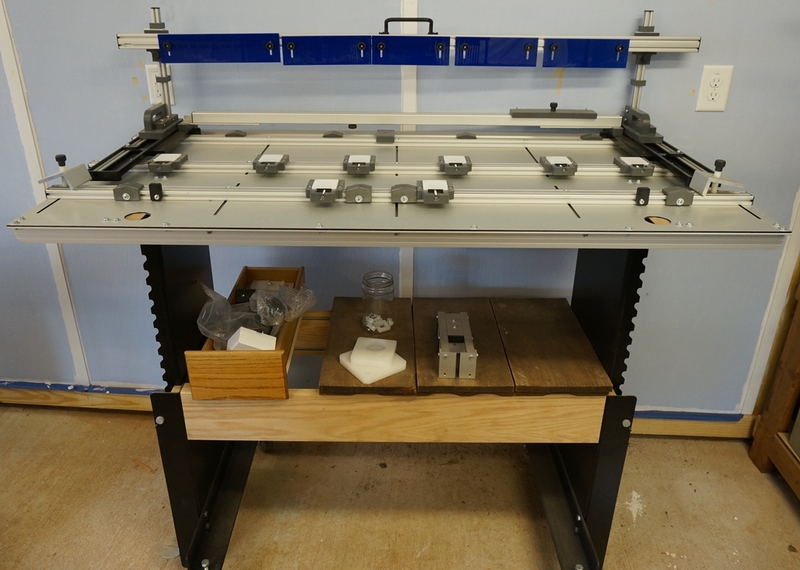 I contacted Chris Brown of TPR Tools in Concord, Massachusetts, to order it. He offered to bring it down, himself and, spend a couple of days with me showing me the protocols that he had established to go with the station. I wisely accepted his offer. The speed and accuracy attainable is far superior to any other method that I have ever used before. It standardizes the alignment of the parts and, establishes a consistent method of the contact and release points in the mechanism. Below is a list of the procedures that are the most common to action restoration. This is a basic list. Your instrument may need further parts replacement or repairs depending upon the make, condition and owner expectations.